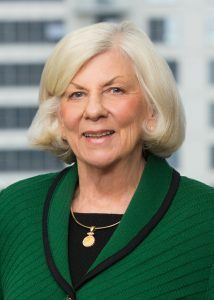 SANTA ANA, CALIFORNIA – Klinedinst is pleased to announce Shareholder Bonnie L. Lutz has been appointed as Vice-Chair of the American Bar Association (ABA) Tort & Trial & Insurance Practice Section’s (TIPS) Animal Law Committee. Ms. Lutz will serve a one-year term for the 2018-19 fiscal year. The Animal Law Committee (ALC) assembles leading Animal Law attorneys across the nation, with the shared goal of protecting and improving the lives of animals through legal strategy. ALC addresses all issues concerning animals and the law, and provides opportunities for its members to share experiences and viewpoints on issues that impact animals and our relationship with them. Each year, an individual is selected as Vice-Chair who has proven leadership in the practice area of animal law, and who has been consistently involved in the committee’s events and in TIPS. Ms. Lutz has been a committee member since its inception in 2004. She previously served as Chair of ALC in 2015, and Vice-Chair in 2017. Ms. Lutz has spent the majority of her legal career defending veterinarians during litigation and providing counseling services for humane societies across California. Having defended over 200 veterinarians in actions before the California Veterinary Medical Board, Ms. Lutz is experienced in humane society regulation laws and the California Veterinary Medicine Practice Act. Within the community, Ms. Lutz is active with numerous veterinary organizations, including the California Veterinary Medical Association and the Society of Animal Welfare Administrators. Her tireless volunteer work, particularly with animal rescue organizations, has also distinguished her as a leader in the animal law field.